The Ravintsara Wellness Hotel is situated facing the sunset on the West coast of the Island of Nosy Be in Madagascar, along the Canal of Mozambique. The Ravintsara Hotel and Spa is beautifully set in 5 hectares of lush green gardens. Ravintsara, which means beautiful leaf, is also an indigenous plant of Madagascar which is synonymous with well-being. 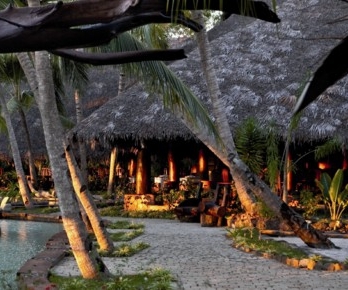 The creation of this wonderful Madagascan hotel is such that it merges effortlessly between garden and sea. The spot on which the Ravintsara Wellness Hotel is located is rich in dense and diversified flora and fauna. 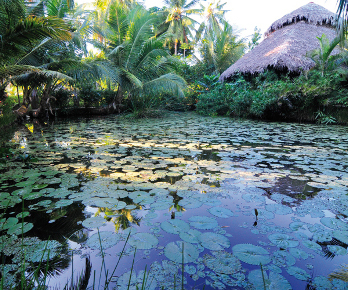 This area is respected by the Malagasy people for its centennial tree and sacred source of water. The Ravintsara Wellness Hotel in Madagascar offers 20 bungalows comprising of 15 garden view rooms, 3 sea view rooms and 2 luxury villas. Each bungalow offers a spacious living and dining area.